ive been trying to find a good crt/scanline shader for gameboy advance. i use crt kurozumi for snes but when i use it for gba the scanlines look too thick. can anyone suggest a good shader for gba or tweaks that i can make to kurozumi? You can also load up one of those console-border shaders and then go back into the shader menu, decrement the number of passes by one to remove the last pass and then hit 'apply shader changes'. This will keep everything else but the border. 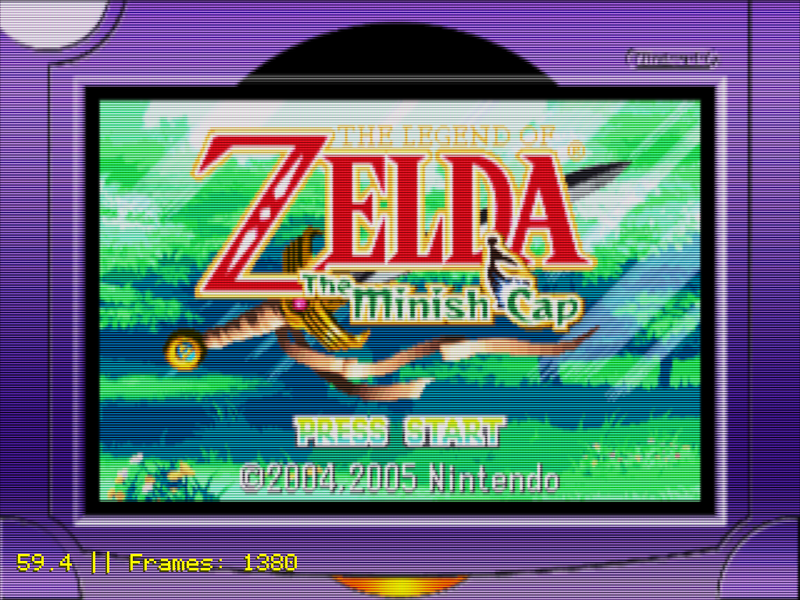 I primarily use retroarch on retropie. And while it’s an outstanding solution for emulation, there’s not a lot of headroom for shaders. I decided to create a bunch of overlays using maths and grids etc. https://sites.google.com/view/mezzb-overlay/home You may find some you like, or not. Also, I’m working on creating non-grid versions of everything there, in case someone likes the overlay, but would rather add their own special effects. These are for 1080p displays only. Hi there, problem with the GBA is, that it is 160p instead of the usual 240p, that’s why it doesn’t look right. The Scanlines get much thicker and spaced this way, and afaik there never was never a game-console that put out 160p plugged into a TV. Personally i would use a shader called lcd-grid-v2-gba-color in the handheld folder (cg shader). With a nvidia card that’ll begin to look strange, so you gotta swap the shader 0 with lcd-grid-v2-nvidia.cg (handheld->shaders->lcd_cgwg). That would give you the gba screen without the console border image. Kinda like you are looking at a giant gba-screen. cool, thank you. yah thats kinda what i figured when i looked up the resolution. i was hoping to find a way to tweak your shader or use another one to get a look similar to running the gamecube gameboy player in 240p. the best i could do was tweaking crt easymode a bit but that isnt perfect. in the ‘borders’ subdirectory, there are some ‘gameboy player’ presets that will put a border around the GBA image to bring it up to ~240p and one of them follows up with crt-royale, which you can then paste the parameters settings from kurozumi’s preset into. is it possible to scale the gba resolution to 320x240 and then apply your crt royale preset? copy all of that stuff and paste it at the bottom of the gameboy-player-crt-royale preset. CRT-Royale with or without kurozumi’s settings looks weird, presumably due to scaling issues, but I got the concept working well with crt-aperture using a variation of a shader I use to play handheld games at native res on my arcade cab. Note: you can replace crt-aperture with any single-pass CRT shader and it should work just as well. EDIT: I didn’t realize the gameboy player was supposed to run at 480i, so I just updated the preset to mimic that behavior. I had to swap out crt-aperture for crt-geom to properly handle the interlacing flicker. I’d like to use GBA-LUT from this Handheld Border Shaders thread. However it doesn’t seem to work on latest retroarch. Use the ones that are already included with the shader bundles.